Everybody else is Readathoning and I miss it. I've been reading off and on all day in between visiting family and errands though. I'm home for good now so I'm jumping in for awhile. So, it's not official but I can't resist. What am I reading? Take a look. OMG YOUR NAILS ARE ORANGE! :) I'm going to show this post to hub just to rub it in his face. Wait that's mean. But he is wanting to know how everyone is reading The Twelve but him. And why I wasn't cool enough to get an ARC. Happy non-readathoning! 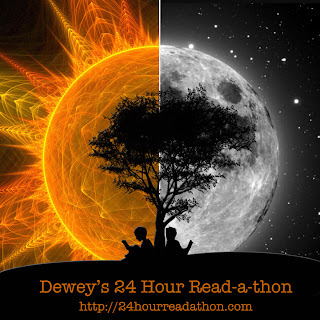 It's just not a true readathon without you. Aw thanks, Trish! Yes, those are my fall nails. lol! OMG you have The Twelve?!? So jealous! And you're lucky you don't live next door...I'd've snuck into your house to steal it! I'll have to keep it under lock and key! I think there are few readers that can resist the read-a-thon. ;) Have a good evening! Oooo, can't wait for that one! I missed the read-a-thon, too, but I got in plenty of reading and had a great weekend visiting both of my kids. Family beats a read-a-thon, any day. I don't get to see my boys as often as I'd like to! I missed the thon too. 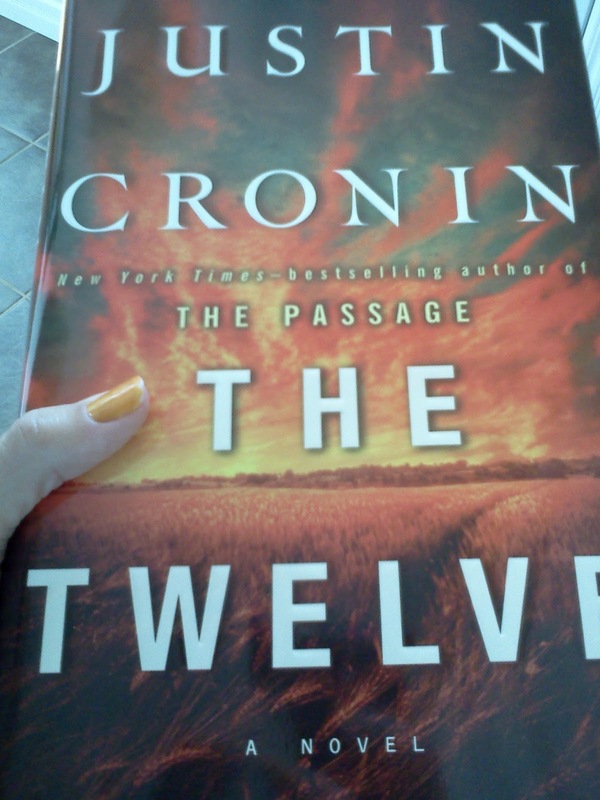 I am reading The Twelve now but it's been slow going because of how busy I am right now at work. I do most of my reading at work and these damn people won't leave me alone.